A great cool down drink for those hot summer days and nights! 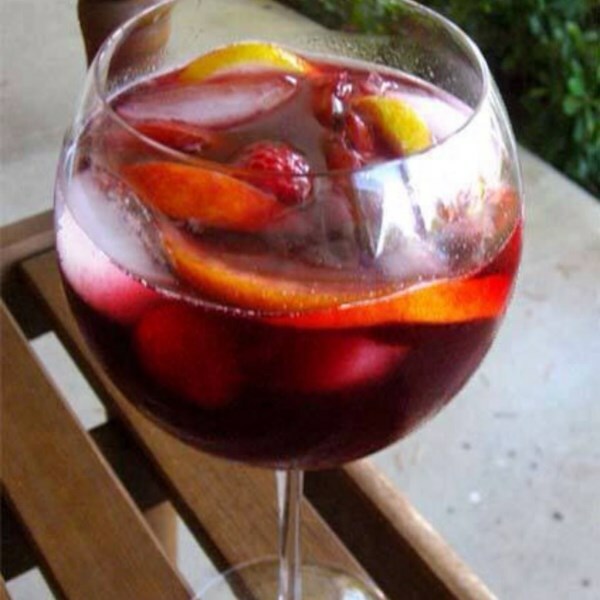 Stir red wine, raspberry-flavored soda water, peach schnapps, pomegranate juice, and lemon juice together in a large pitcher or punch bowl; add raspberries, peach slices, lemon slices, and orange slices. Float ice cubes in the beverage to chill.